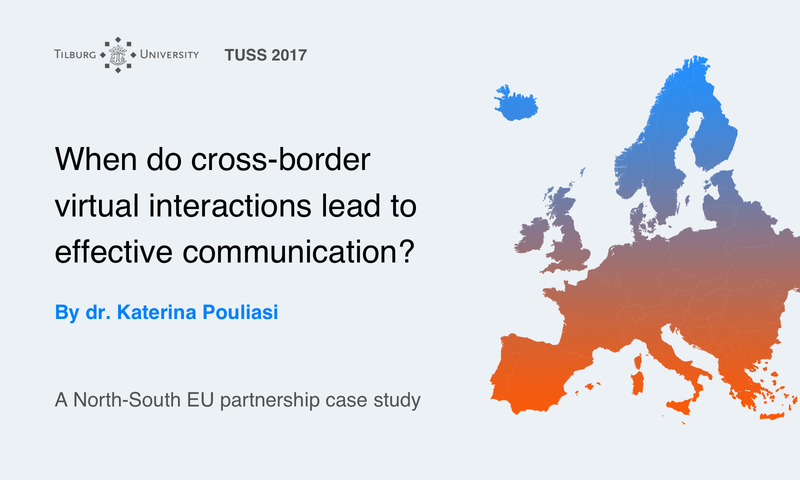 What issues could arise in a North-South European co-operation? One needs to feel the other culture in action rather than listen to theories or advice. Participants (when feasible with diverse cultural background) work in groups with straightforward exercises that make it easy to develop an embodied understanding of how culture(s) guide behavior. You understand it by confronting your own spontaneous answer in a given situation to other authentic responses originated from the culture in comparison. Findings from cross-cultural scientific studies are strong and persuade! Minimize the risk of failure, prevent frustration, empower your soft skills with Intercultural Competence. Initiative, Personal Responsibility and Personal Acountability matters so much. Attitude to Time (Deadlines, Clock-time vs Event-time approaches (e.g., in meetings), Long-term vs Short-term planning ) are of critically important. Feelings of Honor and sensitivity to being Offended vs Personal Freedom in Expressing your Opinion, when either side hold strongly, may kill your goals. Rejection or Acceptance of critical feedback when it comes from out-groups, will respectively, cause frustration or advance smoothness in the line of co-operation. Is there a distinction in treating friends or strangers when doing business? Is it a matter of whom do you trust? You’d better consider how it works in a cross-border line of co-operation! Whether views about ‘how an Ideal-person should be’ are similar or differ sharply across-cultures. The factor of Cultural Conflict within you as individual. How do you Deal with? Because cultural differences do exist! The Basic cultural dimensions at work. To what extent hold in your Organisation? 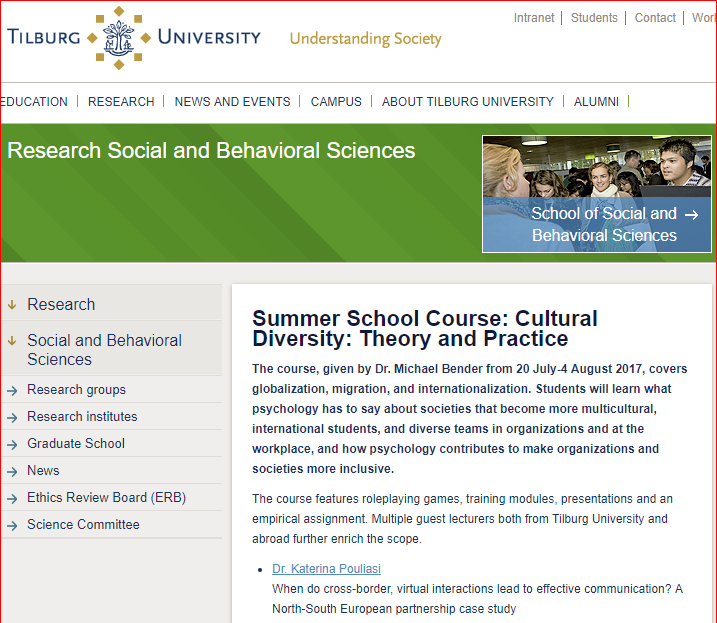 We appreciated our invitation to contribute to the courses of the International Summer School 2017 at Tilburg University with this case-study. 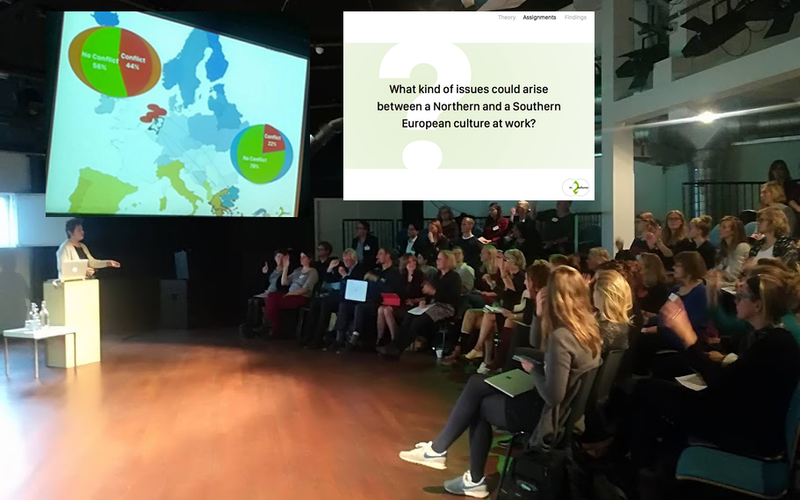 Diversity in the class boost the discussion and there were the various interpretations of the case studies that enormously enrich the need for Íntercultural Competence!